When it comes to style-staples, these black Plisse Culottes are an around-the-clock win. 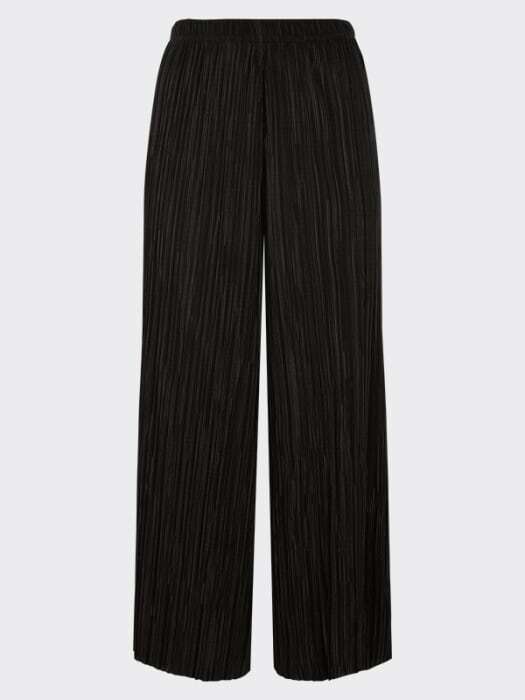 Sitting high on the waist for a flattering fit, the rib-textured style falls to a pair of billowy wide leg trousers. Work the cropped cut with platform trainers for a street-wise edge.